There have been a lot of exciting moments for faboys and fagirls over the course of the last decade, but there are few that rival that day it was announced that Marvel Studios had made a deal with Sony to finally bring Spider-Man to the Marvel Cinematic Universe. Instead of giving the beloved webslinger his own movie first, they introduced the new version of the character in Captain America: Civil War. Prior to that, people were wary of Spidey, thanks to the several reboots the character had been through. But Tom Holland won everyone over and that helped set up Spider-Man: Homecoming, which properly brought him into the MCU fold in a fun and inventive superhero flick. This journey to Avengers: Infinity War series has looked back at nearly every movie so far in the MCU, with just Thor: Ragnarok and Black Panther left to go. Before digging in to this movie specifically, we should note that this movie doesn't really have many ties to Avengers: Infinity War. In the grander sense of the story, it looks like Spider-Man is going to be featured prominently in Infinity War, so it's probably good to have seen this movie to understand where he's been before seeing where he's going. So if you're doing some last minute binge-watching before the movie comes out, this isn't totally crucial as a refresher. A lot of people really love Spider-Man: Homecoming. And they absolutely should, because it's a blast. But comic book die-hards may wrestle with it. There are a lot of things in this movie that go against the classic Spidey stuff from his early years that fans know from the comics. However, this was the third time the character had been rebooted on the big screen. As such, there was a tremendous amount of pressure to reinvent the wheel. This movie wasn't put in one creative box, it was put in several. Nothing about Spider-Man is broken, but because audiences had already seen the classic early tale of the character on screen, twice, this movie was forced to be different. It was also forced to exist in an already well-established MCU and also had Sony as a creative partner. This wasn't just Kevin Feige getting to point and shoot. Taking all of that into account, those who are fiercely loyal to the version of the Spider-Man world they know from the world of Marvel Comics should try and set that aside when watching Homecoming. What's most important here is that Tom Holland is the pitch-perfect Peter Parker. Nobody else has even come close. While we got a dose of that in Civil War, the young star gets two hours to charm our pants off here. Speaking of Civil War, the opening of this movie where we get to see Peter's vantage point of those events from his cell phone videos is purely delightful. If you don't have a smile painted across your face during that bit, I think comic book movies probably aren't your thing. Sure, is it easy to be a little annoyed that a ton of people know Peter Parker is Spider-Man, his suit is high-tech, which takes something away from the charm of the early years of the character, and the whole "M.J." thing? Yes. The M.J. name drop still makes me cringe, but beyond such things there is far too much to enjoy here to be cynical about it. Most importantly, they got the character of Peter Parker right, which is painfully crucial. To me, this is where The Amazing Spider-Man movies failed miraculously. But this also feels like a reasonable, modern take on the character. This is what a 15-year-old Peter Parker would look like in 2018. This is exemplified in what might be my favorite moment in the entire movie when the stranger on the ground says, "Ok Spiderman, do a flip," and, just like that, he does a flip. It's a small moment, but it sums up everything right about this movie very succinctly. People talk about Spider-Man: Homecoming a lot, but I'm not entirely sure director Jon Watts gets enough credit. The dude had just a couple of small movies under his belt prior to this and had the painfully crushing task of making this movie work for fans of the character, but not repeating the past, making it fit into the MCU and having to please both Sony and Marvel Studios. The fact that all of those things worked out is nothing shy of astonishing. Watts does not feel like a man just pointing a camera here. I really do get the sense that this was his take and he had a vision for how to make this all work. Surely, there were plenty of cooks in the kitchen, but Watts deserves praise. One of the things that sort of makes Spider-Man so interesting in the comics is that, in his early years, he's largely left to his own devices. He's got to figure stuff out on his own. However, here he gets brought into the Avengers fold rather quickly by Tony Stark. Given that this movie takes place within the confines of the MCU, it makes every bit of sense. Plus, that means we get more Robert Downey Jr. and that's never a bad thing. It would be if he phoned it in, but nearly a decade in and the dude is still dedicating himself to the role. That scene between Peter and Tony on the rooftop after the ferry disaster is a prime example. On this journey to Infinity War series, I've made a big point about Marvel's villain problem. Vulture, as portrayed by the brilliant Michael Keaton, is one of the best villains in all of the MCU, even without a ton of screen time. This is what happens when you get a guy like Keaton on board for something like this and give his character some very human motivation. Sure, we get a little Shocker(s) and even a brief hint of Scorpion in there (Sinister Six someday?! ), but this is the Adrian Toomes show. From the very start with that cold open, it's clear that Vulture isn't just an obstacle. This is an actual character with actual human-driven motivations and emotion. Plus, the modern Vulture suit is pretty rad. For my money, acting wise in the MCU, it doesn't get much better than the car ride to prom when Toomes realizes who Peter Parker is and they have that verbal standoff. Excellent stuff. This movie also features a very creative modern reinvention of the Flash Thompson character. What was once a brooding, bulky jock bully stereotype becomes a rich Indian kid, who is scrawny, but uses his social status within the hierarchy to put Peter Parker in his place. It's one of the best changes made in this movie that goes against the classic Spider-universe archetype. On the flipside, if I have to be honest, even though the action set pieces in this movie are pretty grand in scale, they aren't all that memorable to me when compared to other stuff in the MCU. But, they are inventive. Bringing Spider-Man to the suburbs and rendering his powers much less useful was pretty brilliant. 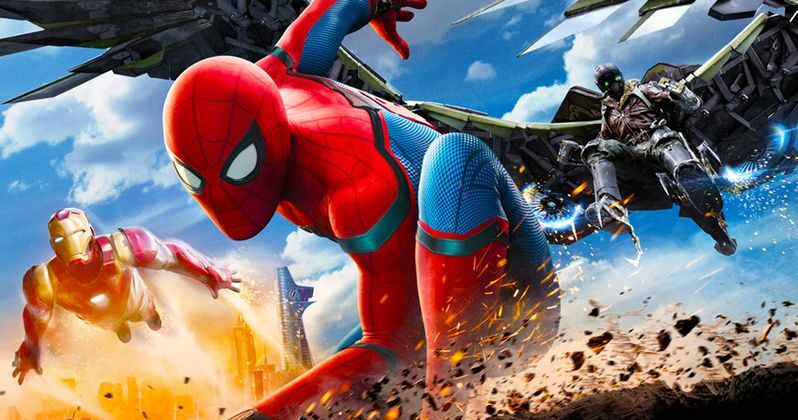 It's easy to look at Spider-Man: Homecoming and scratch your head at the fact that Peter Parker's actions don't really have consequences for him. Or, at the very least, he isn't really punished for his selfish and poorly executed actions. At least not yet. The MCU is a long game thing and we could be working to that. No matter what, Tom Holland is the best Peter Parker we've ever had and Marvel Studios avoided making this movie a greatest hits collection of things we've seen previously while remaining true to the spirit of Spidey.